Despite the dire warnings of snow, blizzards, abominable snow men and no Bitburger trucks for a week, today turned out to be another awesome day at the Nürburgring. Sunshine, open pit lane, fast laps and lots of friends. 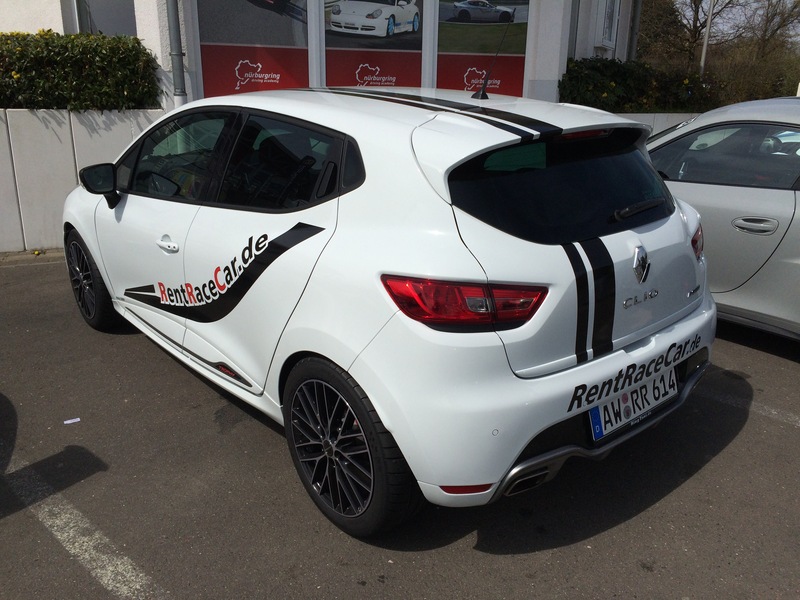 I even got to thrash a brand-new Clio220 Trophy (video inside). No big surprises there, we all know Nürburgring is always awesome, but one guy who was quite surprised was Markus. 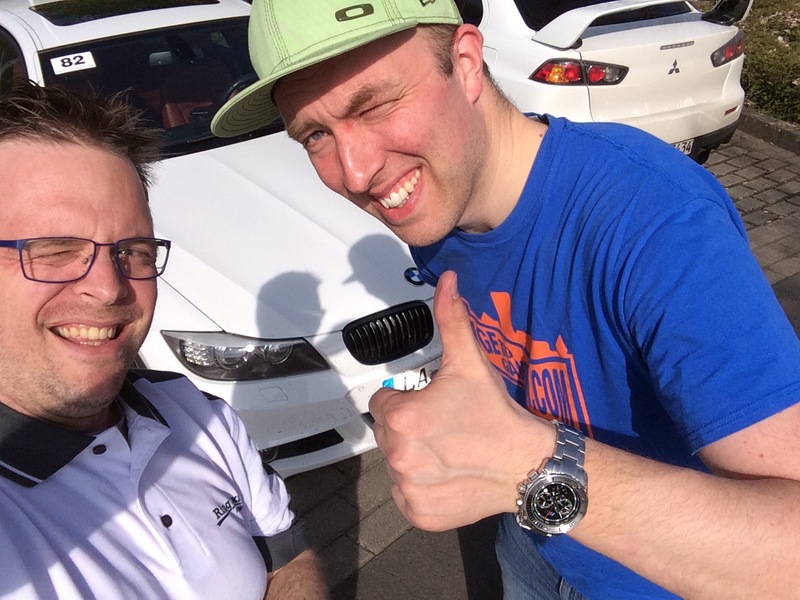 He won a FREE place on today’s Schnelleschwaben trackday, just by following the official BTG Facebook page. After working late for two days, he finally set off on a five-hour drive from deepest Bavaria and arrived late last night. As you might be able to tell, Markus was pretty pleased! As for myself, I was lucky enough to be driving this little beastie. Smiles for everybody! I wasn’t taking photos, but Frozenspeed was. So I stole some off their Facebook page. I’d suggest you take a look!